About Myth Unbound , I understand that I can draw a card when transforming our precious Nissa. But what will happen to the untransformed Nissa? Will she stay in the command zone? If not, will the commander tax be increased since she'll have left the zone once? Will it count as casted twice? Nissa is exiled for transformation, I draw and place her transformed on the battlefield. Nissa planeswalker gets destroyed and goes back to the command zone. Will it cost 4 before the myth unbound reduction? 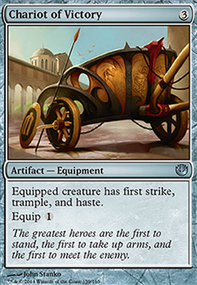 Don't think you need Myth Unbound b/c she's low cost already, I don't think Unstable Footing is good enough even though it's a kicker card. It might make more sense to focus on only the efficient kicker cards, and have more of a +1/+1 counter subtheme (activate Hallar fewer times for more damage). I also don't think Guttersnipe is good enough with 18 spells to activate him. So there are some cuts. Harmonize is good burst card draw, so is something like Greater Good . There's always Sylvan Library if you can afford one - it's not too bad rn. I personally run 34 lands with a cmc of 3.64, but sometimes have a game I wished i included one more. You have a few more rocks and dorks in your deck, so perhaps 34 is fine. 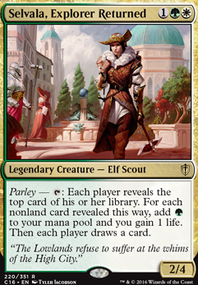 But the cmc is a bit deceiving, I think your creature cmc cuts around 4, but the tutors and cheap removal you run holds it low. On cuts, I think your deck looks in a good shape. Just quite spread with good stuff. 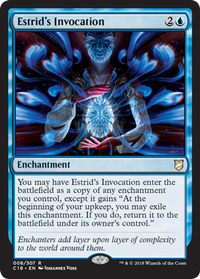 You perhaps can narrow your focus down some more towards your wincons, especially since you run so much tutors. E.g. Abzan Battle Priest is a good herald, but lifelink adds nothing to your strategy apart from survival. Bastion Protector even does a double job here. It's great! But you could've also played e.g. Myth Unbound , Asceticism or Herald of War . I mean show em we don't care about their removal! How often do you play Necropolis Regent over other stuff? She's good, but I'd probably played something else for 6. You already adopted my Rite of Replication plan, Mirror Mockery does nearly the same thing on Reyhan attacks. Is Tymna the Weaver the optimal choice for card draw here? It's not that you run bleed effects. And perhaps you could cut on Nature's Lore for Meren of Clan Nel Toth so you can recur the tribe elder or paradise bird. I play Cathars' Crusade because i can make some tokens off Chasm Skulker , Mycoloth or Ghave, Guru of Spores and clones. But this does not apply to you so much. I'd cut it. Verity Circle or Guardian Project ? I think that Guardian Project might be better than Myth Unbound since it will trigger off derevi and other non-token creatures for the cost of 1 more mana. Kefnet the Mindful as a second thrasios effect. 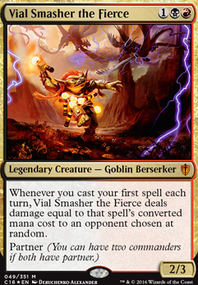 Evolutionary Leap as a sac outlet for derevi and provides card advantage when repeatedly saccing derevi or tokens to it. How have you been finding Skyward Eye Prophets ? The effect seems quite strong but at 6 mana and needing to wait a turn before activating is it too much investment? The competitive meter is a very finicky tool. I've seen non-material changes, such as making a deck foiled, with no other modifications, result in a several percentage point difference. The biggest improvement you can do for your deck is fix the mana base. You have far too many lands that enter the battlefield tapped or do not untap normally, which is going to drastically hurt your performance. 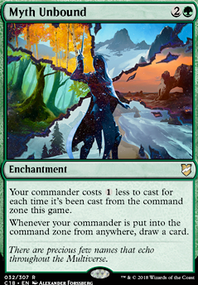 I would suggest removing these lands and replacing them with cards such as the Pain Lands (ex. Adarkar Wastes ), Check Lands (ex. Glacial Fortress ), Filter Lands (ex. Skycloud Expanse ; Mystic Gate ), and Bond Lands (ex. Sea of Clouds ). You can also run some rainbow lands, such as Mana Confluence and City of Brass . Azorius Signet , Selesnya Signet , and Simic Signet will also help with your mana acceleration. High Alert would be a solid card to add, giving you another method of allowing your defenders to attack. Tetsuko Umezawa, Fugitive will make most of your creatures unblockable. Stalwart Shield-Bearers makes your creatures bigger. Tree of Redemption can become a 0/30 or so fairly easily. Fortified Area gives all your walls Banding, which allows them to prevent opponents from having damage Trample over to you. Sunscape Familiar acts as pseudo-ramp by reducing the cost of your spells. Glacial Wall , Murmuring Phantasm , Wall of Ice , and other creatures with limited effect. Myth Unbound does relatively little for you. ZendikariWol on Best. Friends. Forever. Oooh. Okay, I was thinking the other way around. But umm... isn't that a really fast way to make your commander tax INSANE? Myth Unbound would help but not a ton.